Lanphan 2XZ rotary vane vacuum pump is a bipolar vacuum pump with high speed direct connection.It is one of the basic equipment used to remove gas from the sealed container.The pump of 2XZ rotary vane vacuum pump is connected to the motor shaft with the advantage of high rotation speed,small size,compact structure,mobile working convenience.This article is a detailed explanation of the 2XZ rotary vane vacuum pump. If you do not know how to operate it correctly, please refer to the following 2XZ rotary vane vacuum pump instructions. 1. Firstly, check whether the 2XZ rotary vane vacuum pump is damaged during transportation and whether it meets the factory requirements when unpacking. 2. 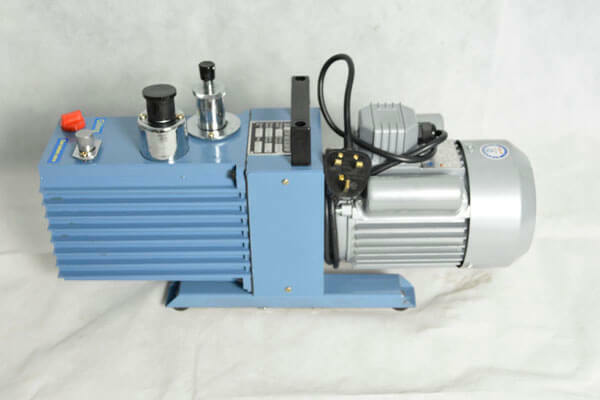 2XZ rotary vane vacuum pump instructions for use ，we should pay attention to first unscrew the fuel plug screw from the oil filler hole to the oil standard 2 / 3, then add a little pump oil from the intake pipe hole to strengthen the pump cavity lubrication. If the oil level is too low, the exhaust valve cannot be closed and affects the degree of vacuum. If it is too high, it may cause oil injection. 3. Connect the three-phase power cord as required. The three-phase motor should be rotated in the same direction as the arrow on the pump support. The single-phase motor can be directly plugged into the power socket. Normal operation shall be started after the test run. 4. The connection pipe with the pump inlet pipe should not be too long, please pay attention to check the vacuum pump external connection pipe, joint and container must be kept sealed, otherwise it will affect the limit of vacuum and vacuum pump service life. 5.Pump working environment temperature from 5 ℃ to 40 ℃, relative humidity not greater than 85%, the inlet pressure is 1.3 * 103 mpa. Vacuum pumps with a pumping speed of 0.5 l/s or above are equipped with air ballast valves. If the relative humidity is high, the gas ballast valve can be opened to purify and remove a small amount of water vapor without polluting the pump oil and extend the service time of the pump oil. 6.2XZ Rotary vane vacuum pump must be installed in a clean, ventilated and dry place. 7. 2XZ Rotary vane vacuum pump operating instructions:it can’t be used in one of the following situations. (1)Don’t pump gas containing particles, dust or gelatinous, watery, liquid and corrosive substances. (2)Don’t pump explosive gases or gases containing too much oxygen. (3)Don’t work under the system leakage and vacuum pump matching container too large and long-term pumping. (4)Don’t be used as air pump, compression pump, etc. 9. 2XZ Rotary vane vacuum pump is equipped with dual oil return preventer. 11.2XZ rotary vane vacuum pump and the surrounding environment should always be kept clean to prevent debris into the pump. 12. The amount of pump oil in the fuel tank during the operation of the pump shall not be lower than the center of the oil mark. 13.Different types and grades of vacuum pump oil shall not be mixed. 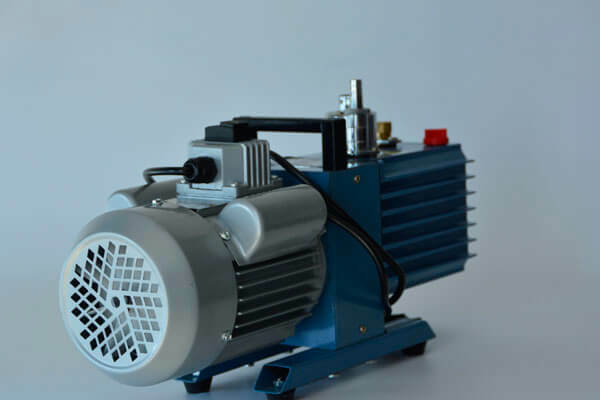 14.When the 2XZ rotary vane vacuum pump is suddenly exposed to the atmosphere due to the system damage and other special reasons, the pump should be stopped as soon as possible and the connection pipe with the system should be cut off to prevent the oil injection and pollute the site. 15.Due to improper storage or use of the pump, water or other volatile substances into the pump and affect the limit of the vacuum, open the air ballast valve to purify, when the pump oil by mechanical or chemical impurities pollution should be replaced when the pump oil. 16. 2XZ Rotary vane vacuum pump operating instructions:oil replacement steps first to turn on the pump and run for half an hour to dilute the oil,turn off the pump and unscrew the oil plug to release the dirty oil.and then open the air inlet and run for two minutes,In this case, slowly add a small amount of clean vacuum pump oil from the air inlet to flush the pump core. After the dirty oil is discharged, screw the oil plug and tighten it. Unscrew the fuel plug and use the funnel to add clean vacuum oil from the oil inlet. 17. When the 2XZ rotary vane vacuum pump is not in use, the rubber plug cap is used to plug the inlet and exhaust ports to prevent dirt from falling into the pump. 18. If the pump is contaminated in the working process, it must be removed and washed. Pay attention to the disassembly steps to avoid damage to the parts. The above is the 2XZ rotary vane vacuum pump instructions provided by henan lanphan. To make an inquiry, please call 0371-67447999. This entry was posted in Vacuum Pump Blog. Bookmark the permalink.